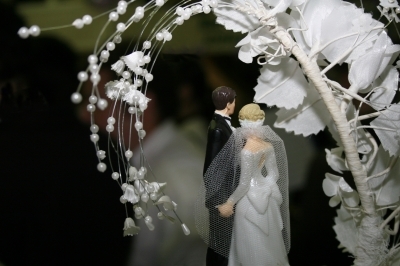 Are Pre-Marriage Jitters Predictors of Later Divorce? The months preceding a marriage should be used by a couple to seriously consider whether they wish to be truly committed to one another and feel that they can do so. It’s not unusual for one or both of them to have questions, concerns or even fears about marriage. Occasionally, these reservations lead them to call off the wedding. I’ve known several couples who after going through marriage preparation decided not to marry. Rather than considering this a failure, it’s probably good to know early—before they promise to love and honor ‘til death do they part—that at least one of them has serious doubts as to their long-term success. Unfortunately, it’s often just one person in the couple who comes to that conclusion, leaving the other broken-hearted. A recent study caught my attention that analyzed these pre-wedding jitters of couples who went ahead and got married. Did having these fears predict a later divorce? Psychologists from the University of California, Los Angeles surveyed 250 couples a few months after they got married. They conducted follow-up surveys every six months for four years. The researchers concluded that wives’ uncertainty before marriage was a better predictor of a later divorce than were husbands’ reservations. They also found the wives who had doubts before marriage tended to be less satisfied with the marriages. And couples in which both partners had doubts were linked with a 20 percent divorce rate. Considerably more husbands had doubts about getting married—47 percent—compared with wives at 38 percent. However, the wives’ doubts were better predictors of impending marital trouble. Nineteen percent of the women who had doubts about getting married were divorced within four years, while 8 percent of wives who did not have reservations were divorced four years later. For men, 14 percent of the husbands with doubts were split in four years, compared with 9 percent of husbands who did not have doubts getting hitched. Researchers said marital jitters were significant predictors even when they took other factors into consideration, including cohabitation, whether the couple had divorced parents, or the difficulty of their engagement. Newlywed wives with doubts about the marriage were two-and-a-half times more likely to divorce within four years than wives who did not have these doubts. And even the wives (who had doubts) who stayed together after four years were significantly less satisfied with their marriage than wives who did not experience these doubts. “There’s no evidence that problems in a marriage just go away and get better. If anything problems are more likely to escalate,” said Lavner. So, for couples not yet married, explore any reservations you may have, and go through premarital preparation to help you discuss important issues before tying the knot. For couples who are already married, that is not to say marital problems can’t be solved; there is hope for all marriages, and many (experts say most) problems can be solved. I should also add that I know some individuals who had jitters that faded away once they made the decision to commit to one another. It was the commitment decision itself that gave them jitters, not the person to whom they were engaged. Only you know whether your feelings of doubt are serious or fleeting. See the story in HealthDay. Did you have pre-wedding jitters? If so, did they fade or did they become predictors of future problems in your marriage? Photo by Aleksandr Kutsayev courtesy of freedigitalphotos.net.